Bournemouth chairman Jeff Mostyn explains why he was so keen to join the Football for Peace charity as an ambassador. 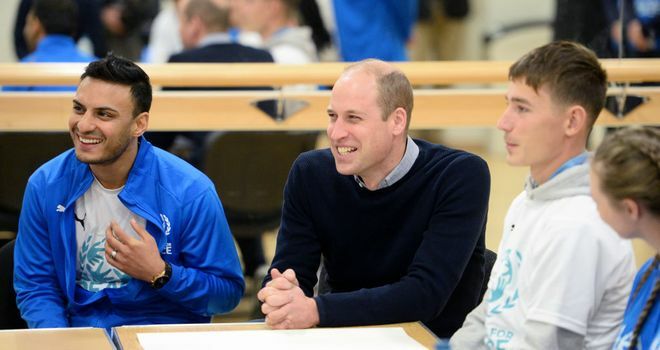 Mostyn has linked up with the organisation as an ambassador, joining the likes of the Duke of Cambridge, Brazil legend Ronaldinho, Mesut Ozil and Louis Saha, who have already pledged their support to the charity and its initiatives. Football for Peace uses football diplomacy and a wide range of sporting, educational and social inclusion activities to help bring about more tolerant societies. "This is something I am proud to be doing not only for myself built also by representing AFC Bournemouth as well," Mostyn told Sky Sports News. "I literally just fell in love with the organisation. It's something I am really passionate about. And the whole raison d'etre of AFC Bournemouth is about communities, it's about families and it's about passion - and certainly I haven't met anybody in a long, long time that has more passion than Kash [Siddqi, co-founder of the international arm of Football for Peace]. "It's hugely influential [when football's most recognisable names sign up to causes like this]," Mostyn added. "That's really why I got involved, and I'm going to try and use my influence as a Premier League chairman also my role as an FA Council member as well to spread the word. "There are so many multilingual players, managers, coaches and board members in football now but I only speak two languages, I speak English and fluent football. "And I think fluent football is the No 1 language in the world. Wherever you go people can communicate with you, and you can, through football, make a difference." Football for Peace was founded in South America in 2006 by decorated former Chile international Elias Figueroa, who co-founded the international movement with British South Asian former professional footballer Kashif Siddiqi in 2013. 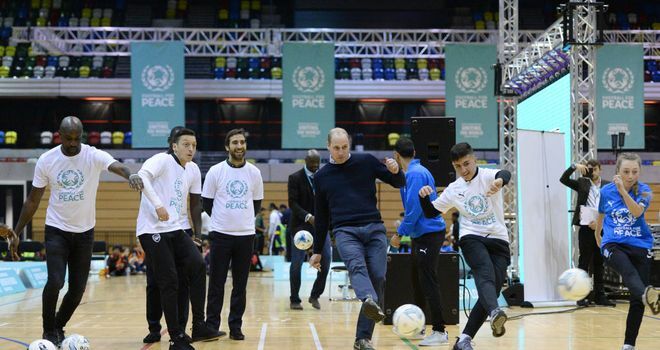 The Duke of Cambridge and a host of famous footballers past and present joined hundreds of schoolchildren at London's Copper Box Arena for a 'UK City for Peace' celebration, which also saw the launch of the charity's #FootballSavesLives campaign. Siddiqi, a former Pakistan international, told Sky Sports News: "We're really fortunate [with the support we have had]. I co-founded the charity in 2013 and it's gone from strength-to-strength. "I think football has got a great contribution to make to all the issues that we are facing within the UK and internationally, with hate, violence and conflict. There is so much bad, but I think football can do so much good to try and bring people together at times like this." 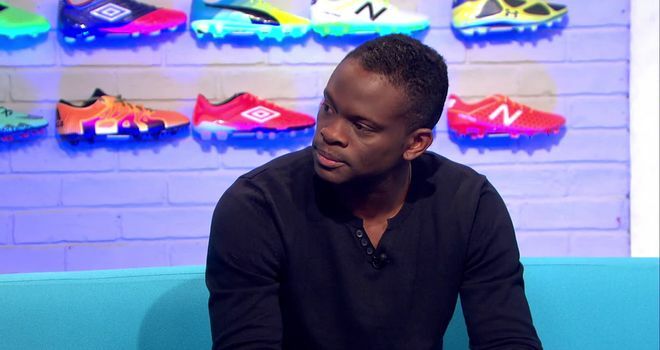 Louis Saha, who also lent his support to the event, added: "This is a great campaign which uses the power of football properly. Events like this are about giving back with the concrete belief that there is a platform to support the next generation, to promote peace, to fight division, hate and all forms of discrimination."